I asked our 9-year-old son if he thought he and his 6-year-old brother were old enough to walk the mile between our home and the neighborhood community pool without me or Mom. He shook his head “no” before I finished the question. He paused to marvel at the magnitude of the word, the vast distance it represents for a third grader, the incomprehensible here-to-thereness of it. 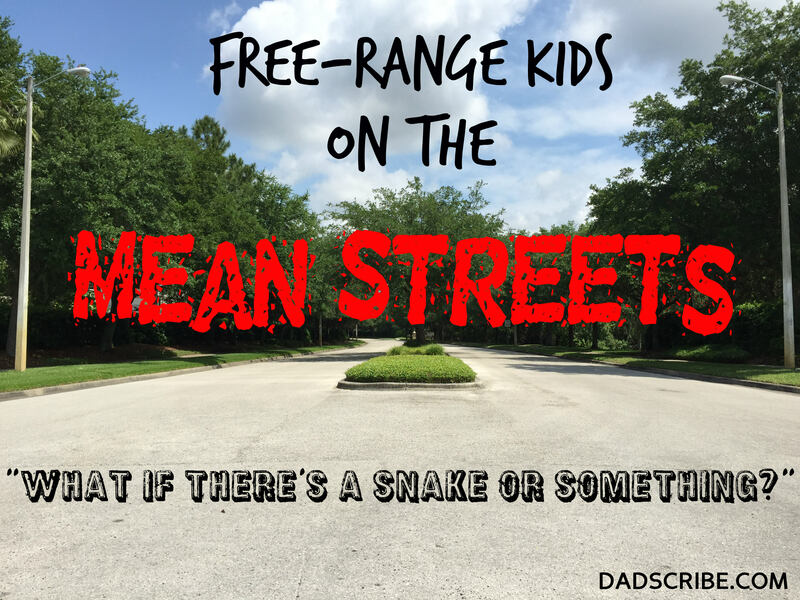 What if the mean streets of our suburban Central Florida neighborhood were over-run by an army of hungry Burmese pythons, on the hunt for new meat after eating all the rabbits and deer in the Everglades? Something like aggressive, stinging fire ants, which can swarm up a small child’s leg in an instant and inflict dozens of painful wounds. Something like reckless high school-age kids tearing around the neighborhood like idiots on modified, rocket-propelled golf carts. Something like a careless driver flying along far too fast to see two little boys alone crossing the road. Something like open bodies of water – retaining ponds, drainage creeks and golf course lakes. Actual alligator sunning itself near the sidewalk connecting our house and the community pool. It looked hungry to me. Something like a bad person looking for an unprotected kid to take. Something like an over-zealous “good Samaritan” watchdog poised to place a panicky phone call to an over-zealous law enforcement agency that stands ready to over-zealously protect the children of the world from parents who have the gall to allow their kids to walk alone on a public sidewalk less than a mile from home. It’s a jungle out there, right? No. No, it’s not. Not here. It’s a pleasant, 15-minute stroll, with broad sidewalks attended by shade trees the whole way. Wide strips of low-cut St. Augustine grass form a green, well-tended barrier between the walkways and the occasional passing minivan. It’s a nice neighborhood. It’s a safe neighborhood. It’s the kind of place where friends respond gladly to neighbors in need. Crime is low. Yet, even in this idyllic setting, danger lurks behind every swaying palm tree. The seemingly tranquil stretch between our driveway and poolside actually is a battle scape. Listen, we trust our sons. They have proven worthy of that trust time and again. They are growing up well and confident. But they’re kids, and we’re parents. They don’t yet possess the capacity to deal with crises — or even minor conflict — without adult supervision. It’s our job as their parents to help them learn those skills, and part of learning means failing at it. We understand that, but we’re not going to be irresponsible about it, either. So, when they play outside, they must do so within shouting distance of the front or back doors. If they plan to go inside at someone else’s house, they must let us know where they’ll be and for how long. When they want to go swimming, we take them to the pool. One day soon they’ll ride their bikes or walk that mile alone, but not yet. Does a cautious approach make us helicopter parents? Are we over-protective? Too risk-averse for the healthy emotional development of our sons? No. We aren’t over-protective. We are risk-averse, admittedly, but who in his right mind is risk-agreeable when it comes to their own kids? We aren’t Free-Range parents, either. My wife and I are doing everything we can to prepare our kids to live life well. We also are doing everything we can to make sure they enjoy a happy childhood, and we’re in no hurry for that to end. Confession: My greatest fear is that something catastrophic will happen to one of my sons, and I won’t be there to help them. I’m not paralyzed by this fear. I don’t sit in the dark and rock back and forth, contemplating the horrific potential of the havoc rendered by the forces of darkness. But the fear is there. I can’t deny it. It might not be rational, especially when you consider the statistics behind this recent Washington Post headline: There’s never been a safer time to be a kid in America. Still, I want to protect them. I need to protect them. It’s more than a sense of responsibility or duty. The compulsion is visceral. It’s fierce. It’s real, and it’s not going anywhere soon – if ever. This urge to shelter them from the harshness of the world is something I’ll have to work through as a father. As they grow, so too will I. Part of being a parent is learning when and how to let go. It’s gradual, sometimes imperceptible, but eventually – they let go of their need for reassurance. They no longer feel the urge to look over their shoulders and make sure we’re still there. They let go and move on, alone in the world but ready for what comes. When that happens, I’ll have to be ready to let go, too. Not yet, though. Not just yet. Maybe in one more year. But right now … it’s a mile too far. One day, he won’t look back to make sure I’m there. I need to be ready for that day. I’m glad it’s not here yet, though. We are broken in unseen places. We are broken by divorce. We are broken when we lose a dream career because of a poor economy. We are broken by a heart attack. We are broken when we live the nightmare of fearing for the life of one of our children. We are broken slowly, callously, by impersonal office jobs. We are broken by cancer. Even as we break, the sinews and ligaments of love and leisure hold the center. I am broken, but I am intact because of my wife, my kids, my parents, my extended family, my friends, occasional professional success. I have been broken but not defeated, because even as the bits and pieces of me dangled precariously and threatened to fall away along the path, I found reasons to smile. I found I could still experience happiness. Happy is not a condition. It is a moment of forgetfulness or a flash of remembrance. I was able to forget, or to remember, during my wedding with Beth, on our honeymoon to Las Vegas, on our 10th anniversary trip to New York City, when our sons were born, when I was chosen to read an entry from my online journal at Dad 2.0 Summit, during all the many days of enjoyment and abandon at Walt Disney World and other places where reality was paved over and I could remember or forget. These countless moments and experiences lifted my spirit and, for a time, seemed to mend the broken places. Once broken, we stay broken. Wrapped in a thick blanket of inertia, scarred and scared, yet awake and aware, I was unable to stop but unwilling to move. The broken places are not stronger. They are merely broken. I am in no special hurry and must therefore find a way to function. I live with the knowledge of the broken places. They mount and swirl together as a swift current in a strong, cold river that gashes a drear desert. If I give in, I can drift along on that current and let it take me where it will, no will of my own. But I choose to choose my response. I can remember to forget, or forget to remember. I know I can do that, because I still can smile. We can’t fix the broken places. So we need to know: How much can one person endure? That’s the question. Do we possess an infinite capacity to endure break after break after break, winding on endlessly into that desert? I am afraid I do not, but the evidence is incomplete. Where are the unseen places? What do they look like? I see a bridge, a stone passage through and over time, a safe thoroughfare imperiled on all sides by vagaries comedic and tragic. The bridge has crumbled and fallen in on itself in places. Where the stones are collapsed, the bridge veers in new directions. Crossing, thwarted by each new chasm, I leap along on wings of forgetfulness and remembrance, catching the current of love and leisure, pursuer and pursued. I land and peer along the narrow path ahead. I see only a straight road, but it is an illusion and I know that now. Inevitably, my gaze is drawn backward, where I look upon a labyrinth of my own unconscious design, a life in parts, a bridge broken but on the whole, not bad. I move on. Where will I break again? Will I be ready and able to leap across the next chasm? Will the current slacken as I lament the broken places and fall, fall, finally and forever? Yes. The world breaks everyone. Afterward, there are broken places but we move on. We meet new, better friends and lifelong companions. We find more fulfilling careers. We improve our diet, take our meds and promise to exercise. We relish every moment we have with our dear children and never – never – take their laughter and strength for granted. We vow to find our place in this world. We meet illness with treatment and optimism and if we are healed we cherish our good fortune and move on. We make the leap across the unseen chasm. We turn into the current. We remember or we forget. We smile. We move on. Sunrise over Houston during the Dad 2.0 Summit, as seen from the 18th floor of the Four Seasons Hotel. First, it was about the song. The song we all dance to as loving, engaged, parents and creative souls. The tune that wakes us in the morning before the sun or the kids are up so we can be ready for work or whatever our day holds before we make them breakfast and walk them to the bus stop. It’s the melody of the midnight crying jag. It’s the chorus of cookies and milk. The lunchbox aria. Second … it was about karaoke. Maybe first it was about karaoke. Yeah. You know who I’m talking about. Chris Read, CanadianDad, proved that there is room on the dad blogging stage for the new guy. He earned his place there, one of five Spotlight Bloggers invited to read at the second Dad 2.0, with a moving tribute to his late father, as well as a willingness to put himself out there over the past year as a prominent resident of what I thought of as the Planet of the Pixelated Parents before I got to Houston on Thursday. See, as I touched on in an earlier daily recap (and told pretty much anybody who stopped to chat with me during the weekend), my perception of my fellow attendees was shaped by the months of research and reading I did before I ever wrote word one here. I knew them as avatars and blog posts and rabble rousers or peacemakers. I knew them as pithy tweeters and witty digital conversationalists. I knew them, or their personas, as they wished me to know them. Most of them didn’t know me at all. Which, yeah. Feb. 21 will mark one year since I “launched” this thing, whatever it has become. Even though parent blogging remains a fairly new phenomenon, especially among the growing field of dads, one year is a blink of an eye in this well-established, tight-knit community. Going to Dad 2.0 was like crawling into my laptop screen and melding with the circuitry of the surreal. Throughout the weekend, familiar faces drifted by, like scrolling through a living Facebook photo album. That surreal sensation was completely gone by the end of the event. I can’t begin to recount every interesting conversation or in-person connection I made in Houston. What I can do, though, is point out that there is something beyond intimate about a blogger conference for a natural introvert like me. I think what makes it so interesting in terms of making those real connections with people is that, if you do your homework (and, as a lifelong journalist, of course I did), then you meet these writers and content creators already knowing a great deal about them. There is no need for the verbal circling and sparring that takes place as you get to “know” them. As I say, you already know what they want you to know about them – because they’ve written it or talked about it on a podcast or depicted it in viral meme form. Also, it helps that we all come from the same place emotionally and creatively. We’re parents. We love to write (or draw, or take photos, or whatever the medium of choice might be). We love to tell stories. That’s what I’ll remember about my first Dad 2.0: the stories of the people I thought I knew, as told in their actual voices in hotel hallways, on a ballroom stage, over a game of Texas hold ‘em with fake money, in the hotel lounge, or in a bar. I’ll remember the impressive keynote speakers, of course, and the five men who weaved sublime tales about being dads, bloggers, and Internet pros – the Three-headed Dads. And I will always, always remember the warm welcome everyone gave me when I stumbled through my Spotlight reading on that first morning. I’ll also remember the guys from Dad Labs grabbing me as I raced out of the main ballroom on my way to the restroom to ask if I had time for a live, streaming interview with Clay Nichols. In case you were wondering (which, of course you were), I had to piss like a racehorse throughout the conversation. I’ll remember Manwich and Army of Frankensteins. Free! Booze and food. The kilt. I’ll remember the walk from my hotel room on the 18th floor to the bank of elevators. Out the door, right turn, right turn, left turn, long hallway. Push “down.” Which one would arrive first? Where would that magic box carry me next? Who would be there when I got there? Would the people and lobby have dissolved into flowing green streams of pixelated code? Would Agent Smith be waiting at the bottom to chase me back into my rabbit hole? Would a black cat walk by … then walk by again? Most of all? Most of all, I’ll remember the weekend as the time when the pixelated people of the Daddy Complex and Howtobeadad and Beta Dad and Honea Express and Always Home and Uncool and Black Hockey Jesus and Canadian Dad and BloggerFather and OWTK and Pet Cobra and Daddy in a Strange Land and Clark Kent’s Lunchbox and Bobblehead Dad and the Daddy Doctrines and Momo Fali and the Muskrat and Lesbian Dad and Bitchin’ Wives Club and the Captain and Laid Off Dad and Super John and so many, many, many more morphed into David, Charlie, Andy, Andy, Whit, Kevin, um … Jesus, Chris, Oren, Jeff, Jason, Jason, Ron, Jim, Chris, Momo, Michael, Polly, Amy, Creed, Doug, just plain John and on and on and on. Turns out they’re all real. And they’re almost all warm and friendly, and curious and alive, and dancing to the same tune. Oh, yes. I’ll be back. And next year, I’m singing. I don’t have a plan. I have some business cards (and boy, are they nifty), and I know when I have to be on-stage Friday morning. I also know that I’m sandwiched between the mayor of Houston and the opening keynote speaker, Jeff Pulver. But they all said I need a plan. 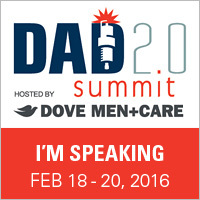 This is my first blogger conference, the second annual Dad 2.0 Summit in Houston, Texas. I’m going because I submitted a blog post when they did a call for submissions for Spotlight Bloggers. They asked me to come, and asked me to read this post instead. I was blown away when they asked, and I consider it one of the great writing honors of my long and illustrious blogging career. Which began in earnest on Feb. 21, 2012, less than a year ago. So, what am I doing? I’m going to read my thing, which will be over before the event even really gets started. I’m going to meet face to face some of the other Spotlight Bloggers, established dad blogging voices like Black Hockey Jesus and Whit Honea and Kevin McKeever and the pride of Canada, Chris Read. I want to meet members of the new dad bloggers group on Facebook, including group founder and Bad Boy of Dad Blogging, Oren Miller. I want to meet some other people, too. Writers I’ve come to admire. Funny writers. Poignant writers. Powerful writers. Men and women who know how to use the English language and social media to tell stories that matter. Stories about parenthood, certainly, but stories about life. These are writers who make me want to write better. But I also want to meet Doug French, founder of the Dad 2.0 Summit and the guy who sent me the email telling me my work had been chosen. Doug seems pretty cool. I want to meet him. I want to meet so many others, too. The guys from DadCentric, including the inimitable Jason Avant (the blogger, not the receiver) and Andy Hinds (the brilliant, brawling everyman behind Beta Dad blog). There are people I want to meet that I’m not even going to mention here, because I don’t want to jinx it. I don’t know if I’m invited to karoake, and I’m not going to invite myself. But apparently there will be late-night karoake. Rumor has it, anyway. Even representatives from the event sponsors. I want to thank them, for sure. 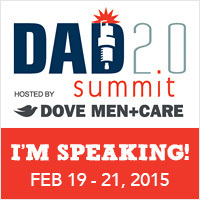 There’d be no Dad 2.0 Summit without Dove Care for Men, Honda, Turtle Wax, and many, many others. I also am fascinated with the idea that there seems to be a groundswell among corporations to move away from the buffoon-dad stereotype we’ve always seen on TV and in movies. 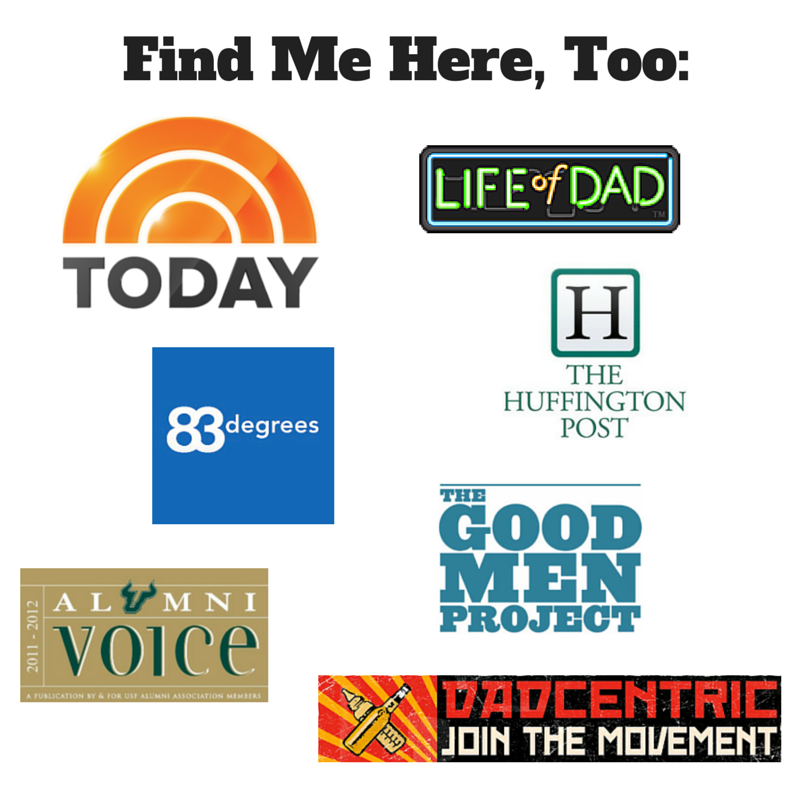 It’s important, I think, that high-profile events like Dad 2.0 Summit bring attention to parents who shatter those stereotypes, and share their stories on the Internet. But what am I doing? Three days away from my family? For what? Damn, I’m going to miss them. They’ll be fine without me, of course. Yet, one of the main reasons I wanted off the baseball beat back in 2006 was I wanted to be here — always — for my sons. So … irony! I write a dad blog now, which I would not write without them, and I’m about to jet off to Houston for a long weekend of boozing it up with a bunch of other mom and dad bloggers learning as much as possible about the craft and business of blogging. Honestly, I don’t know what to expect at the Four Seasons Hotel (although I did stay there once while covering an NLCS, Astros versus Cardinals). The guys from DadCentric did a round table primer on the conference, so I guess that helps some. No, it definitely helps quite a bit. No matter. So what if I don’t know what I’m doing, or why I’m going? I’ll enjoy finding out the why and what for in the coming days. I’ll also be tweeting the hell out of it, in case anyone is interested in following along. Hey, and if you have any suggestions about what, exactly, I should be doing while I’m there … don’t hold back. One of the first pieces of advice I received when I began to write this dad blog was to “find your tribe.” I thought the guy was being condescending. I thought I was being blown off. That wasn’t what he was saying, of course. He wasn’t being condescending at all. He was telling me the truth. What he was saying was that the blogosphere is a big place, with room enough for everyone and their motives. Somewhere out there in that vast virtual echo chamber of parent bloggers there was sure to be a group of people who shared my interests and wanted to connect. A community of my peers. I think I might have found that community a little less than a month ago, when Oren Miller of a Blogger and a Father started a dad bloggers group on Facebook. He called it “Dad Bloggers,” and as the first week of 2013 drew to a close, the group’s membership approached 100. I asked to join the closed group a week into it, after seeing it mentioned on Twitter. Not until a few weeks later did I even stop to think about why I asked to join. I thought of myself as a dad blogger without a tribe. I didn’t even know I needed that community. It’s my understanding that they study group dynamics pretty extensively at the finest universities in the land. Apparently, I’m not the first person to wonder what compels people to join groups of all kinds. Yet, to my knowledge, there has never been a scientific study conducted with the goal of deciphering the motives of several dozen men from all over the world (well, the U.S., Canada and the UK so far) who decide to join a Facebook group for dad bloggers. So, I conducted a very unscientific study by asking in a post on the group’s site: Why did you decide to join this dad blogging group? I received many thoughtful, thought-provoking responses. Some made me wonder about my own motives. One even made me wonder whether the group is for me, after all. Overall, though, what I read from my fellow dad bloggers reinforced what I felt about the burgeoning group. That it is a good thing, an inclusive thing, a “tribe” that welcomes all, regardless of purpose, regardless of audience, regardless of personal or professional motive. That seems right to me. A couple of months ago, I joined a group of bloggers. They do group-giveaways, but they also do almost-daily threads like “Leave a Twitter link if you want a RT, and in return you have to RT 5 tweets others leave in the comments.” The same deal works for FB shares, reciprocal commenting, voting on Picket Fence, whatever that is, and a bunch of other things. The problem is that 99% of them (over a thousand members) are women, and 99% write review/giveaway-only blogs, so while I appreciated what they were doing, I couldn’t really participate, because I think Twitter is being damaged enough by automatic Triberr sharing, and I don’t want to be just another person spamming his followers. So I thought a Facebook group of blogging dads would be able to help bloggers, and would help raise the profile of dad-blogging in general, and since I believe institutional attitude toward a group is determined by perception of that group, I thought that if we can raise the profile of blogging dads in general, it would help raise the profile of fatherhood in this country (and in Canada, I suppose, wherever that is). And then, being me, I waited for a month for someone to read my mind and start a group. When no one else did, I figured maybe it were up to me after all. And that’s just half the story, because the group as it is now works much better than I thought it would. I didn’t think people would use it to talk about conferences and about the philosophy of writing, and share others’ posts on their blogs… So thanks again to everyone here for making it work. Hopefully we’ll have 100 members soon! Oren was kidding about Canada, by the way. And I’m pretty sure we’ll reach triple digits sometime this weekend, if not soon after. Where it goes from there, who knows? Here are excerpts of the responses I received from my fellow bloggers. Some of them are edited for length. All of them were greatly appreciated, and each helped shed light on why this Facebook group has taken off.